Neon Line is a modern design for the 'Cadistry' with a sharply colored circle and trajectory of line. The royal family reminds of the hottest and newest fashion/design trends. Front part of the card has been carefully modified to make a clear difference from the existing cards, and to show a simple but pleasant idea. The case of NeonLine, which is the most attractive point of this deck, created in a sensual way, boasts original styles that had never been seen in a card design, just like modern art. 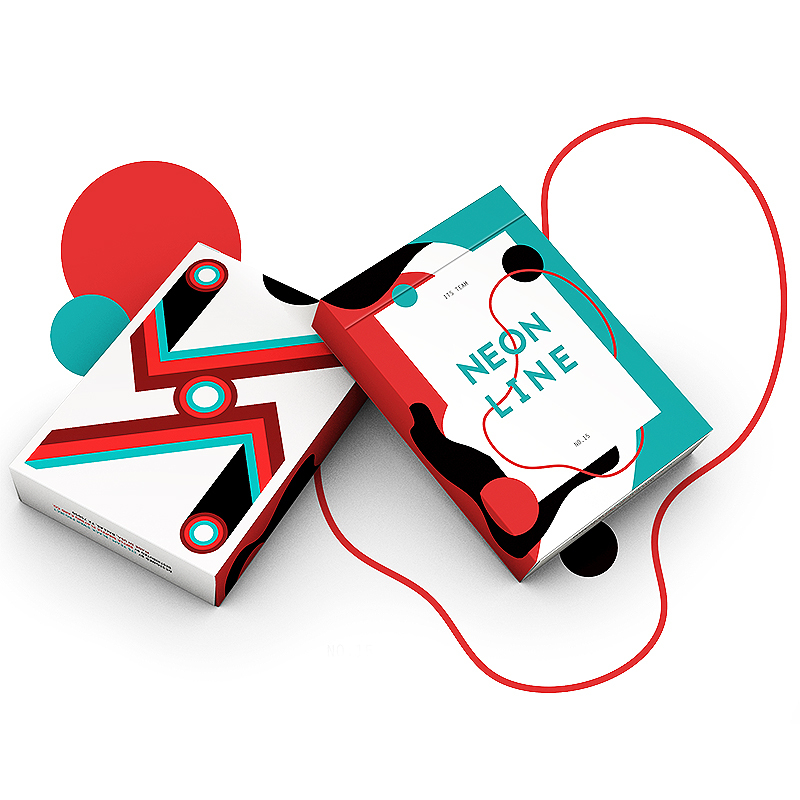 The Neon Line is Designed by ITS TEAM. Produced by Riffle Shuffle Playing Card Co & Printed by USPCC. Only 2500 decks will ever been made. To reduce the thickness and to provide outstanding handling, the normal stock is compressed and the Crushed Stock is used. • The cards are poker size. Αυτό το προϊόν προστέθηκε στον κατάλογό μας την Thursday 20 September, 2018.